you give them much more than a free phone. 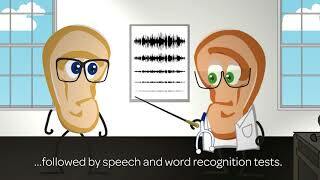 Hearing Care Professionals nationwide are seeing the value of adding CaptionCall to their complete patient offering. Now you can give your qualified patients a CaptionCall phone at no cost along with the CaptionCall Red-carpet Services guarantee. Your current and potential patients simply visit your office to obtain certification of hearing loss from a hearing-care professional. There is no predetermined decibel threshold to qualify for CaptionCall. They just need to have trouble hearing on the phone and be diagnosed with a hearing loss that, in your professional opinion, necessitates the use of a captioned telephone service to communicate effectively by phone. Click here to access the Professional Certification Form. 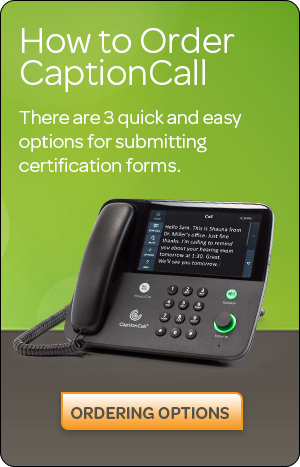 To order a CaptionCall phone for your qualified patients, simply complete and submit the Professional Certification Form certifying the individual’s hearing loss. Once this form is submitted, a CaptionCall representative will contact your patient to schedule delivery and installation of a free CaptionCall phone. As a provision of the Americans with Disabilities Act, the FCC established a fund to give individuals with hearing loss access to captioned telephone service at no cost. CaptionCall is an FCC-authorized captioned telephone service provider. The federal government compensates CaptionCall for providing the captioning service so no costs are passed on to you or your patient. CaptionCall is a revolutionary telephone that uses voice-recognition technology to quickly display captions of what callers say on a large, easy-to-read built-in screen. It also provides amplification and customizable audio settings to match an individual’s unique hearing loss. CaptionCall makes it easy for your patients to stay connected, using the phone with confidence. Learn More about CaptionCall. 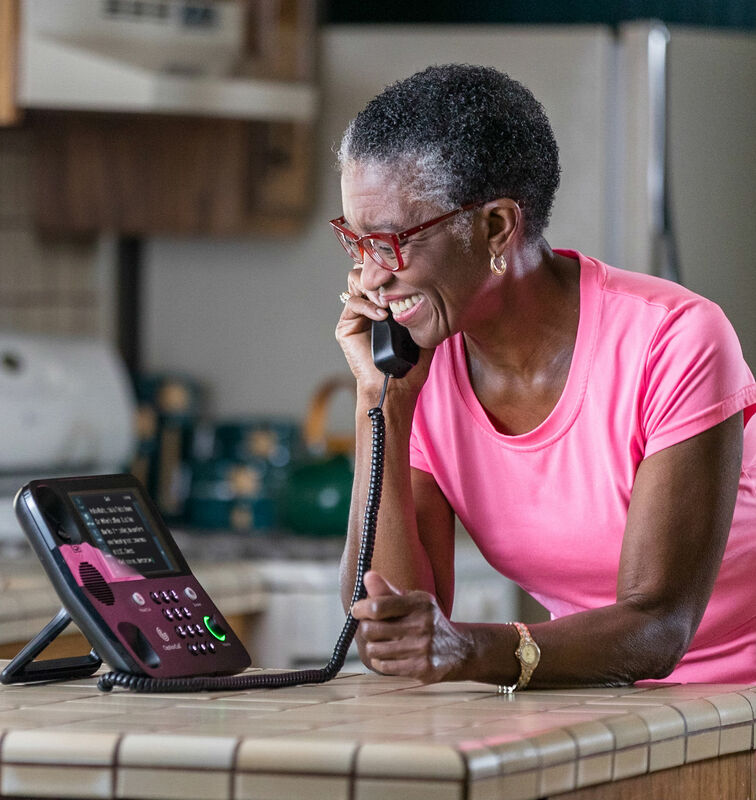 In addition to having hearing loss, your patients will also need a standard home phone line and Internet connection to use the CaptionCall service. CaptionCall will provide you with brochures and a demo phone if desired. All you need to do is ask your patients if they have trouble hearing on the phone and assess their hearing. If they do have hearing loss, introduce them to CaptionCall, and take a moment to submit the Professional Certification Form. CaptionCall will take it from there. Click here to get started with CaptionCall. Your patients will thank you for it! CaptionCall helps people with hearing loss use the telephone with confidence to stay socially engaged, and ultimately, live a longer, happier, healthier life. This revolutionary no-cost phone and service enable people to hear and read what their callers say. CaptionCall is also an active ambassador for hearing health and an advocate for people with hearing loss. We encourage people everywhere to actively manage their hearing health through regular hearing evaluations, and to seek early treatment when hearing loss is identified. We invite you to give all your eligible patients a no-cost CaptionCall phone - the Gold Standard in captioned telephone service. Hearing loss and cognition: This course will take a closer look at the role of hearing loss as a potentially modifiable risk factor in late-life for cognitive decline and dementia. It will also review research to explore the importance of treating hearing loss in older adults. This course discusses how Television Closed Captioning and Captioned Telephone Service have been shown to help those with hearing loss to have a better understanding of speech on the television and telephone. People with hearing loss are at a distinct disadvantage compared to people with normal hearing when communicating on the telephone. This course discusses eligibility requirements for patients to receive a captioning telephone from CaptionCall. Eddy visits a hearing specialist for the first time and discusses what he can expect during his appointment. Eddy holds a press confernce to answer questions about his human's decision to seek a hearing specialist. Eddy discusses the social, mental, and physical risks associated with untreated hearing loss. Eddy gets personal as he talks about how the ear works in his own unique and entertaining way. He also touches on the different types of hearing loss. September 4, 2018 CaptionCall, LLC, the leading provider of captioned telephone service, is pleased to announce that Bluetooth® connectivity has been implemented into all CaptionCall 67tb phones for Bluetooth devices that are compatible with the “hands free profile”. August 20, 2018 CaptionCall, LLC, the leading provider of captioned telephone service offers low-cost internet options for CaptionCall users. February 2, 2017 The first and only IPCTS provider to meet TIA standards for amplification.SALT LAKE CITY – CaptionCall, LLC, the leading provider of captioned telephone service for people who have hearing loss, announced that it has recently received TIA-4953 compliance certification for amplification from the Telecommunications Industry Association (TIA). January 7, 2017 SALT LAKE CITY — CaptionCall, LLC, the leading provider of captioned telephone service for people who have hearing loss, is now offering the CaptionCall Module v2.0 for Noah 4. 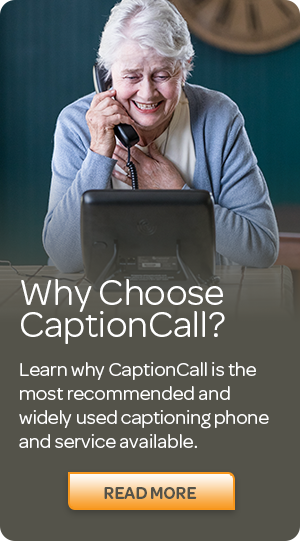 Using the module to certify eligibility for the CaptionCall phone and service is now easier than ever for patients who need captions to use the phone effectively. 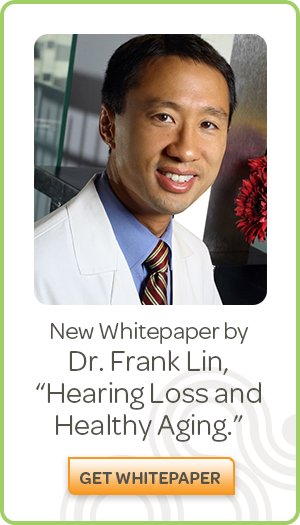 April 22, 2019 Frank Lin, MD, PhD Hearing loss and cognition – a closer look at the role of hearing loss as a potentially modifiable risk factor in late-life for cognitive decline and dementia. Research to explore the importance of treating hearing loss in older adults. August 20, 2018 Teresa Baker This text course discusses how television closed captioning and captioned telephone service have been shown to help those with hearing loss to have a better understanding of speech on the television and telephone. January 15, 2018 Teresa Shipman, AuD How closed captioning and captioned telephone service can help people with hearing loss have a better understanding of speech on the television and telephone. April 16, 2018 Jeffrey Bradford I share communication tips for people with hearing loss with my patients and their families. Are there specific things patients and their families can do to help with understanding on the phone? Does CaptionCall meet Telecommunications Industry Association Standards for Amplification? January 15, 2018 Jeffrey Bradford Does CaptionCall meet Telecommunications Industry Association standards for amplification? Can Captioned Telephones Help My Patients Who Use Cochlear Implants and Hearing Aids? December 11, 2017 Jeffrey Bradford Many of my patients report difficulty hearing on the telephone, even with state-of-the-art hearing aids and cochlear implants. Can captioned telephones help? 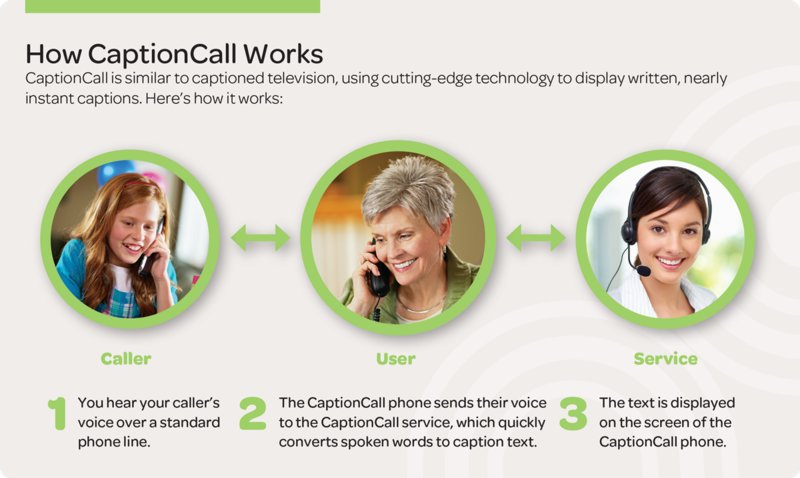 How can CaptionCall Offer a Complimentary Phone and Free Captioning Service? 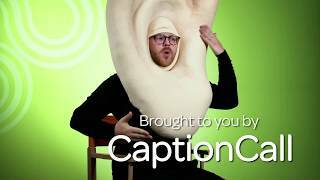 November 6, 2017 Jeffrey Bradford How can CaptionCall offer a complimentary phone and free captioning service? What’s the catch? May 29, 2017 Suzanne Robbins What is sociality and how does it impact quality aging? How does CaptionCall support sociality? 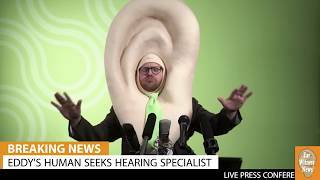 Why is Hearing on the Phone so Difficult? February 17, 2014 Jim Rollins, BC-HIS Why is hearing on the phone so difficult? February 7, 2014 Jeffrey Bradford Who needs CaptionCall? May 12, 2014 Bruce Peterson Interview with Bruce Peterson, Senior Director – Marketing, CaptionCall. Here are three ways you can make your practice thrive using CaptionCall. April 15, 2019 Here are three ways you can make your practice thrive using CaptionCall. Chances are, trouble having phone conversations is a familiar complaint among your patients. April 15, 2019 Chances are, trouble having phone conversations is a familiar complaint among your patients. Our captioning phone and service address one of patients’ top frustrations and can help you gain their loyalty. April 15, 2019 Our captioning phone and service address one of patients’ top frustrations and can help you gain their loyalty. Trust. It comes through loud and clear. CaptionCall was the first company to advocate for no-cost equipment. We continue to innovate captioning technologies and personalized services. And our focus isalways people first. April 15, 2019 CaptionCall was the first company to advocate for no-cost equipment. We continue to innovate captioning technologies and personalized services. And our focus isalways people first. Hearing loss is one of the most common causes of social isolation in aging adults. Studies reveal that sociality is the first line of defense when it comes to quality aging. March 14, 2017 Hearing loss is one of the most common causes of social isolation in aging adults. Studies reveal that sociality is the first line of defense when it comes to quality aging. WHITE PAPER: The Importance of Captioned Telephone Service in Meeting the Communication Needs of People With Hearing Loss. Captioned phones offer a valuable functional solution for about 16 million people. February 10, 2015 Captioned phones offer a valuable functional solution for about 16 million people. Use this certification form to certify that the qualified patient has hearing loss and requires the CaptionCall service to use the telephone in a manner that is functionally equivalent to a fully hearing person. February 9, 2015 Use this certification form to certify that the qualified patient has hearing loss and requires the CaptionCall service to use the telephone in a manner that is functionally equivalent to a fully hearing person. Learn more about CaptionCall and how to get started. CaptionCall can help your patients use the phone—with confidence! February 4, 2015 CaptionCall can help your patients use the phone—with confidence! Learn how easy it is to work with CaptionCall and their Red-carpet service program. 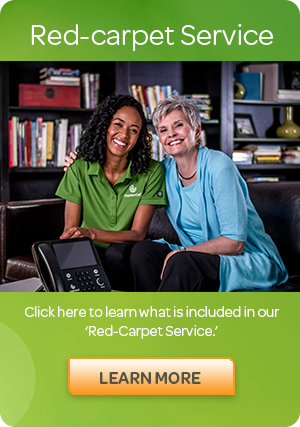 February 2, 2015 Learn how easy it is to work with CaptionCall and their Red-carpet service program.